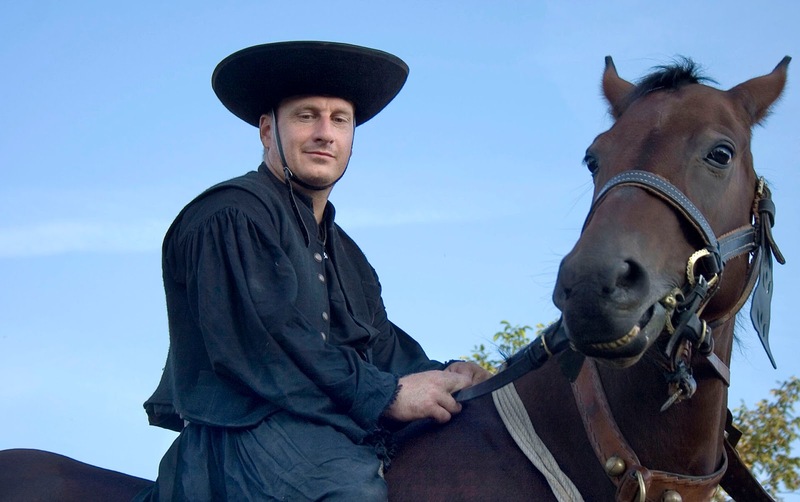 Hungarian Horsemen of the Puszta are Hungary’s answer to cowboys. 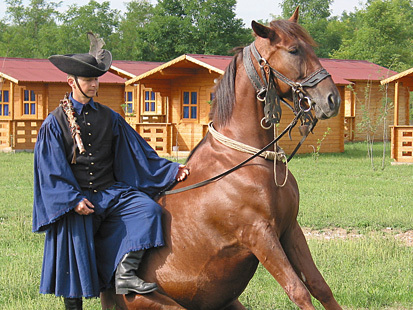 The traditional costume, shown above, is usually worn on ceremonial occasions. 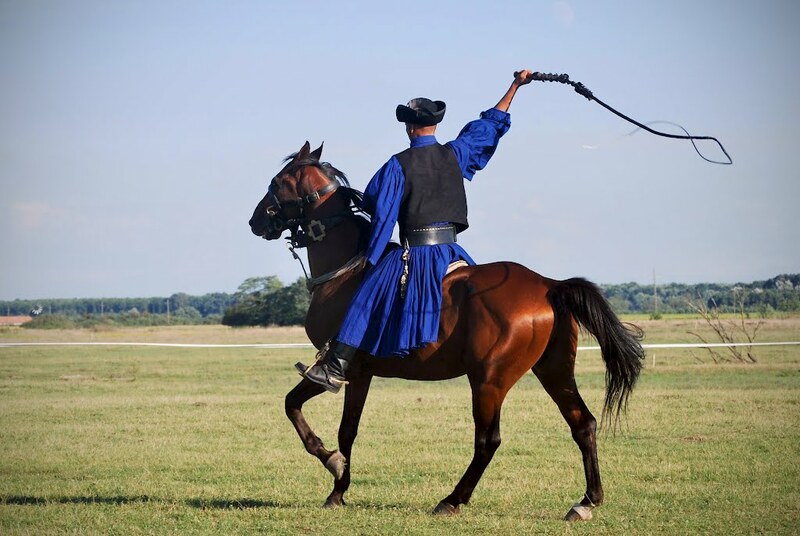 The skills of Hungary’s whip-cracking horsemen have their roots in the tribes of Central Asia, and a history of herding and banditry. 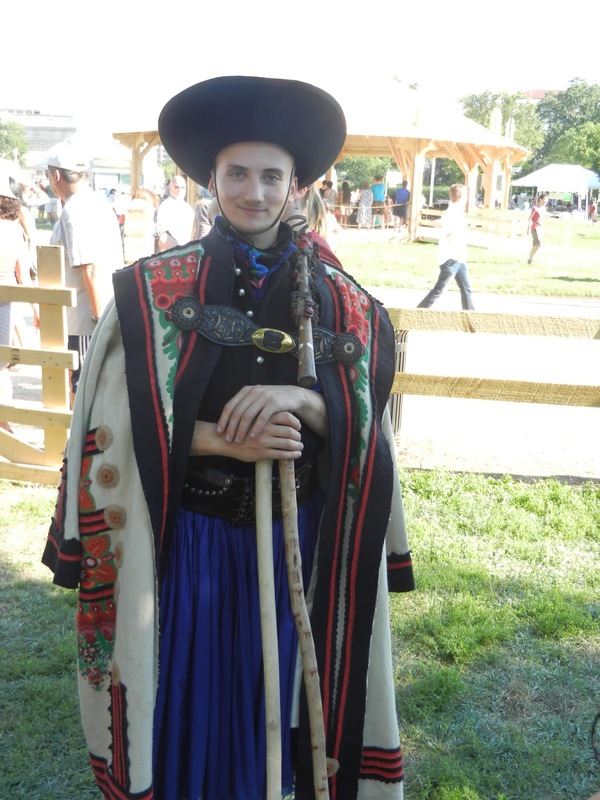 The Hungarian, also called Magyars, are a blend of northern, eastern, and alpine characteristics, with a few Turkic-Mongolian traces. 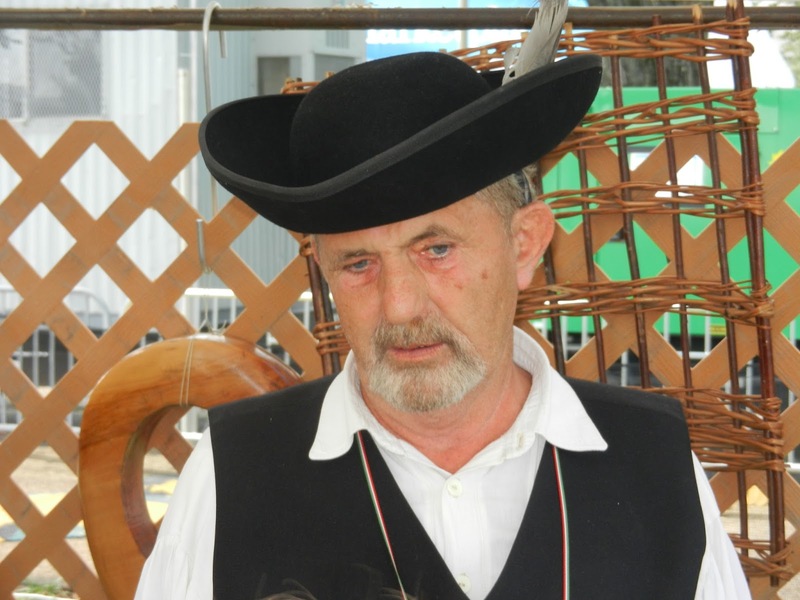 This unusual mix can be seen in the Hungarian people’s distinctive facial features and language. 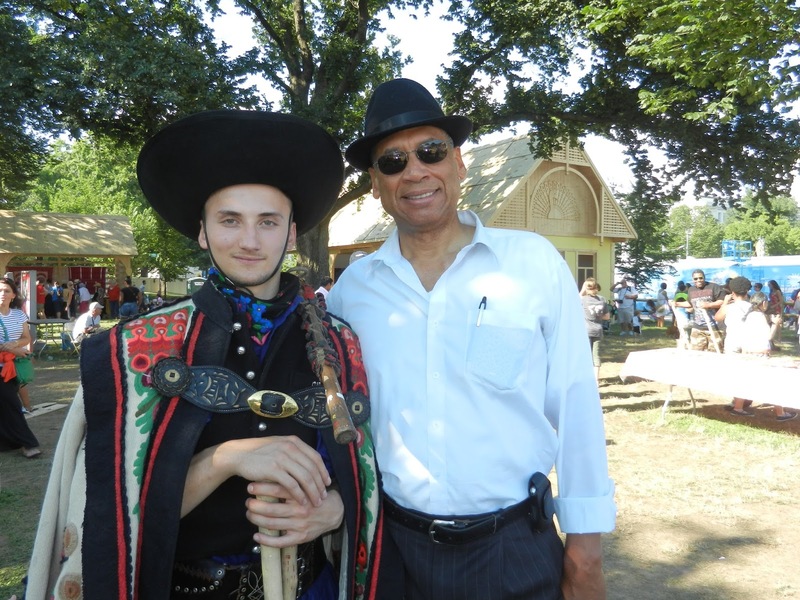 The Hungarian language is classified in the Finnish-Ugic Group, and contains traces of German, Turkic and Slavic. 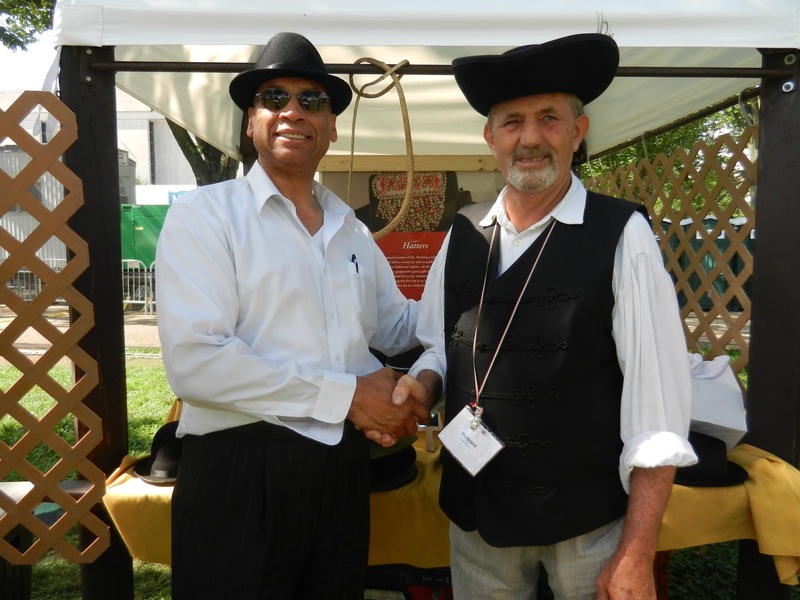 It is a most difficult language to learn. 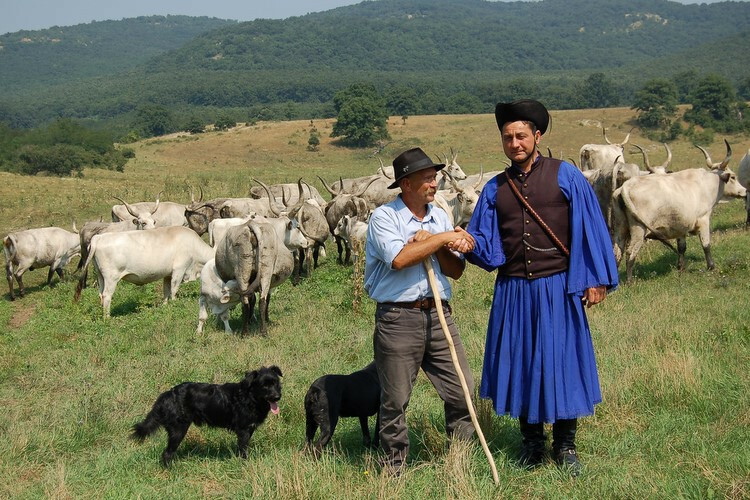 The great grassland plains that sweep out of eastern Hungary are home to an array of unusual animals and farming practices. 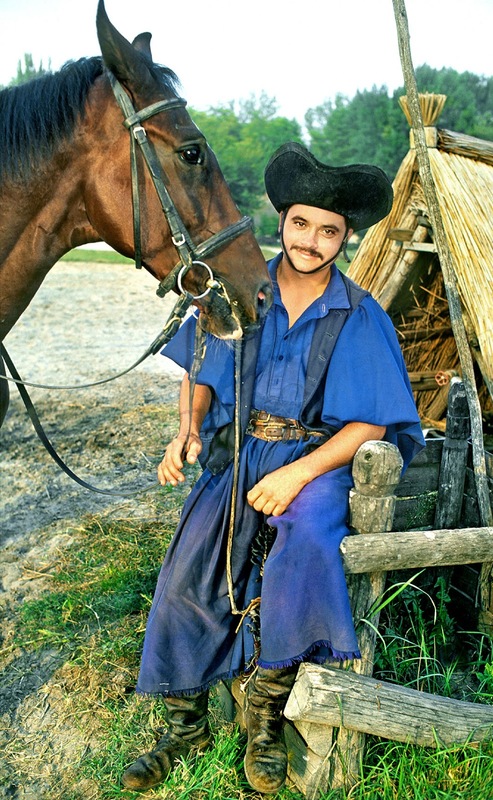 Flamboyant csikos horsemen are the region’s cowboys, famed for their horseback tricks. 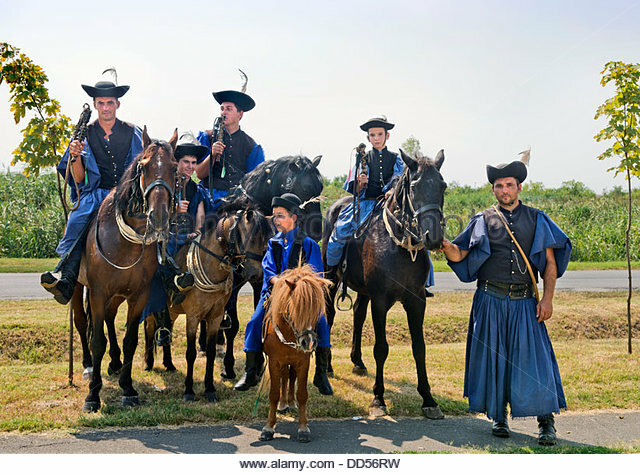 The csikós are the mounted horse-herdsmen of Hungary. 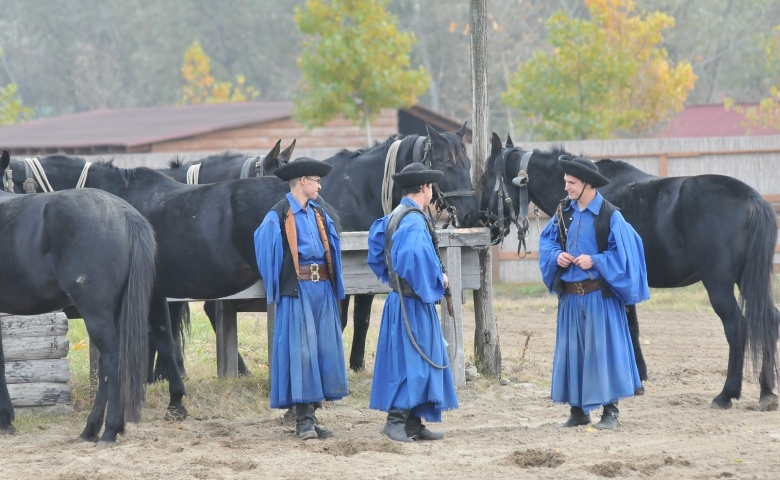 The csikós tradition is closely associated with the Hungarian puszta, in recent times particularly in the environs of Debrecen and Hortobágy National Park. 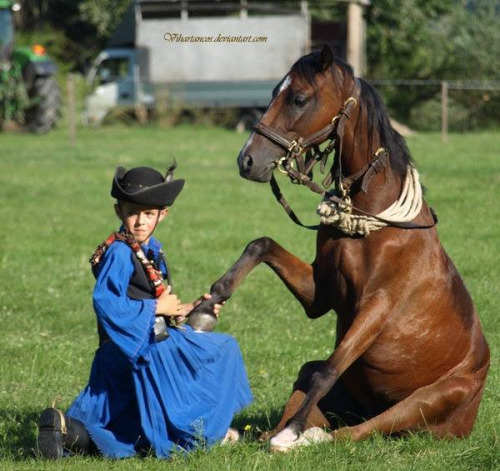 It is also closely linked to the Nonius breed of horse, for which one of the two principal breeding centres is the Máta Stud, some 3 kilometres from Hortobágy. There are free-living herds of rare Przewalski’s horses and wild asses. 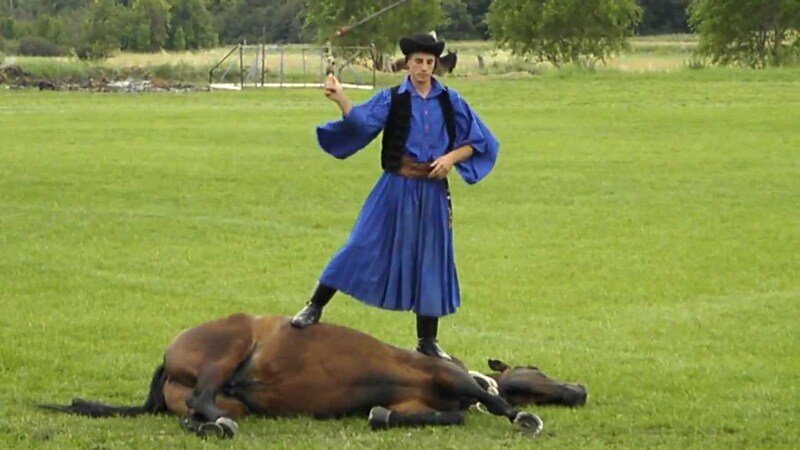 Horses were trained to lie flat in the grass to make them “disappear” in exposed country while riders’ saddles were designed for quick getaways. 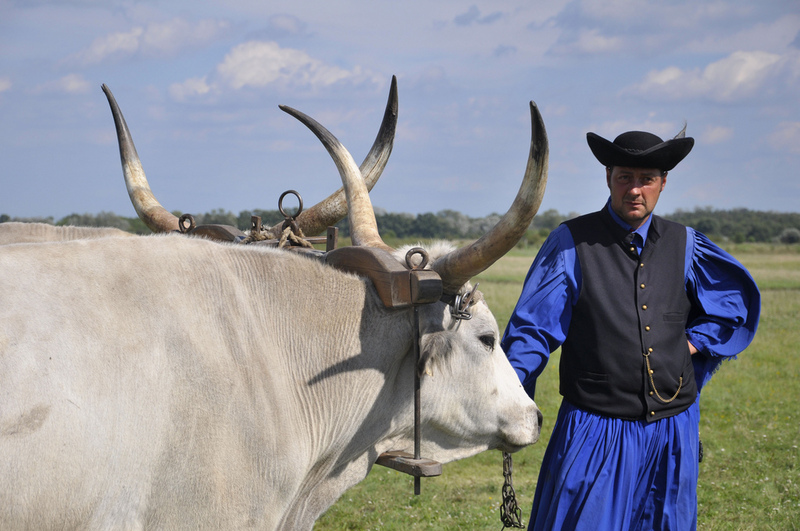 Stock herders and csikos horsemen — Hungary’s answer to cowboys — oversee breeds of curly-haired pig and scimitar-horned cattle. 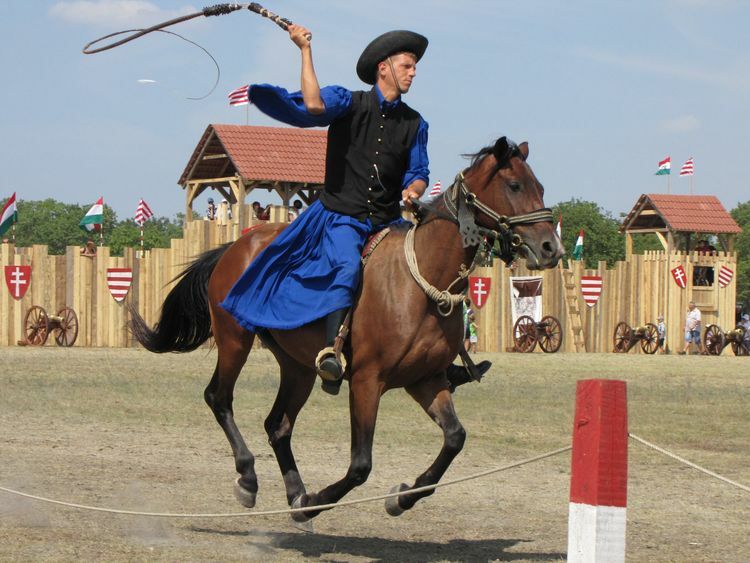 The most spectacular of these “Wild East” cowboys skills is more modern and involves standing on the backs of two galloping horses while controlling another three thundering along in front. At the heart of the largest natural grassland in Europe lies the Hortobagy National Park — a stunning slice of rural Hungary that’s home to a strange array of beasts. 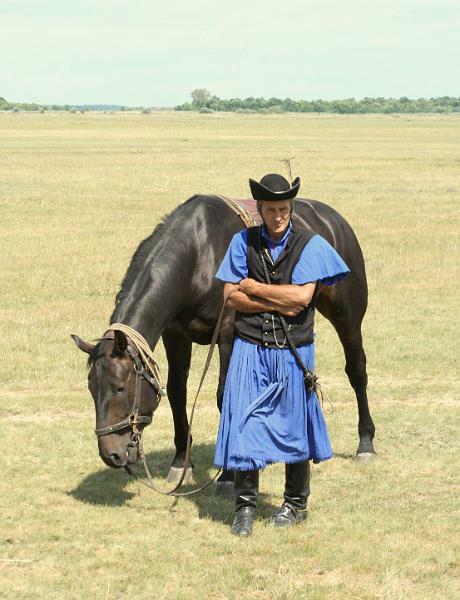 To visit the puszta — loosely translated as “barren land” but actually 250 acres of rich, fenced-in pasture — is to take a trip several thousand years into the past. 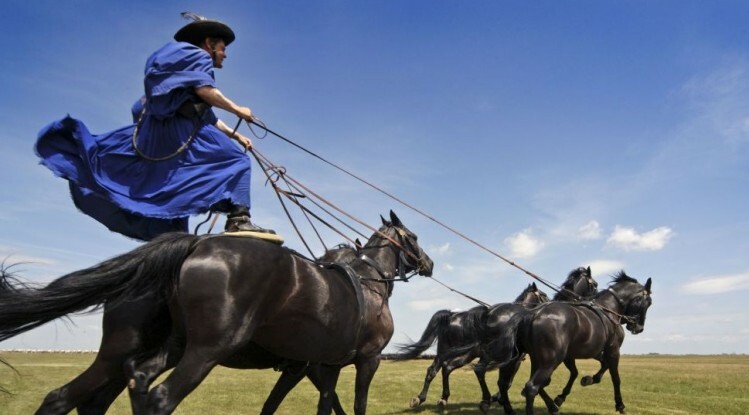 The puszta teems with prehistoric beasts that, long before the arrival of man, roamed central Europe’s grasslands and beyond.